Time is a mystery. And the flow of time is an illusion. Possibly a construct of our minds. Possibly an emergent property of space. And don’t even start to ask what Now is. About the eldest known sites that show that humans were interested in nature’s cycles and the flow of time: the megalithic passage tomb mound of Newgrange built between 3100 and 2900 B.C. and Stonehenge erected around 2500 B.C. were instruments to measure the heavens. The Homo Sapiens’ habit of grave goods (~ 50.000 years ago) shows their expectations of a next world, which proves they had some sort of mental picture of time. The Neanderthals in the same time period buried their dead without goods or rituals. Consciousness of time and therefore the ability to learn from the past, and predict the future – might have been a reason why the Homo Sapiens won the race against the Neanderthals in the survival of the fittest. About the attempts of different cultures to make sense of the discrepancies in the celestial motions while creating calendars. A lunar month is 29.5306 days long, the average solar year is 365.2422 days long. This makes it impossible to create a calendar that aligns with both cycles. Different solutions ranged from too short years, years with fluctuating number of moths to 19-year cycles. Finally in 1578 Pope Gregory issued a reform that defined leap years (of 366 days) for every 4 years and only those century years as leap years that are divisible by 400 (such as 1600, 2000). Interesting fact: In order to make up for the mistakes of the calender they were following before, ten days had to be dropped in 1582. October 4, 1582 was followed by October 15. We are still following the Gregorian calendar today. From sun clocks, water clocks, mechanical clocks, the oldest working clock in the world: the Salisbury cathedral clock from 1386, pendulum clocks, stable pocket watches for sea navigation (see Harrisons’s Number Four) to cesium beam tube clocks (keep time by counting oscillations of cesium atoms, which have a natural frequency of 9.192.31.770 cycles per second) and the most accurate ones today: hydrogen maser clocks (hydrogen atoms oscillate in resonance cavity). The value of time changed over the centuries because of the production of more and more precise time keeping machines. Today time worldwide is based on Coordinated Universal Time (UTC) – a system that synchronizes the most precise clocks in the world. Once in a while we still have to add a leap second as the slowing down of the earth due to tidal friction makes the mean solar day become longer. About different understandings of time, paces of life and organisational techniques in the different cultures around the globe. About mental time travel – the ability to project our minds across time, mentally calling up images associated with events from our past, or what we imagine will occur in the future. The ability to travel into the past and into the future are tightly linked in the brain. If you lose the ability to remember the past (due to brain injuries) you also lose the ability to predict the future. Suddendorf and Corballis say that the ability to conjure up the past is merely a “design feature of our ability to conceive the future.” Being able to predict the future is the advantage evolution chose, being able to recall the past is only a side product, the toolbox that allows us to develop foresight, and perhaps also to create a sense of personal identity. Besides a few exceptions (the Scrub Jay Bird) it has not been proven that animals have the same abilities for mental time travel. Different forms of memory: episodic memory (conjuring up memories without much difficulty), semantic memory (our general knowledge of facts about the world), procedural memory (how to do things). Flash bulb memories are highly detailed memories of very emotional events, they are associated with the brain’s amygdalae. 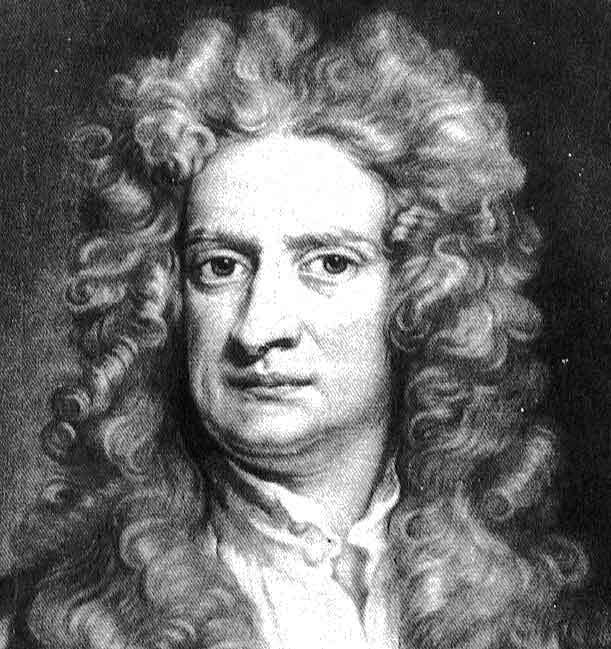 Newton imagines a true universal clock, that is stable and independent of any material objects, and serves as the reference point for all motion and change. Similarly he defines space as absolute. 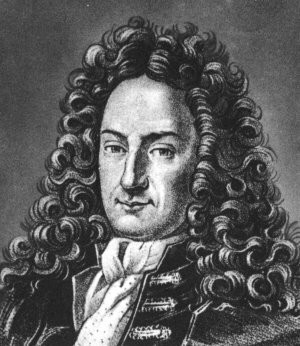 This absolute view of time is countered by the relational view, and it’s main supporter Gottfried Leibniz. The creation of the universe is the main confrontation point and spurred by both man’s religious beliefs. Leibniz beliefs that God created the universe and also created time, whereas Newton’s belief in an absolute time would indicate that God created the universe in time. God would have had to pick a moment in time for the creation, but why wouldn’t he have done it earlier or at a later point? Newton’s absolute time flows continuously. But whenever we speak of something flowing, it flows in reference to something else. What does flow time in reference to? A hypertime? And a flow indicates a direction, from the past to the future obviously. But Newton’s equations are deterministic and time-symmetric. You turn them around and the past emerges from the future. Aristotle says “time is not a succession of instants”, in the same way as “a line cannot be composed of points”. You could endlessly insert points between points while trying to create a line. Points don’t have a length. Similarly instants of time – now and now and now – don’t have a length. Does ‘now’ exist? John McTaggart is best known for his work “The Unreality of Time” from 1908. He explains two ways of thinking about time. A-Series is the tensed view of time and includes everyday notions of time in terms of past, present and the future. Statements of time are always linked to the ‘now’, like “yesterday” or “in nine years”. B-Series is the tense-less view of time, it fixed labels onto specific moments in time (“on March 30st 1970”) and therefore grants no special status to ‘now’. The expression ‘now’ (and ‘here’) only means something relative to the person saying it, but has no absolute meaning. The B-Series view on time leads to the idea of the Block Universe, which states that the flow of time is an illusion. In unison free will becomes an illusion. Julian Barbour has a similar perspective. In his work “The End of Time” from 1999 he argues that time, motion and change are all illusions created by consciousness. Every moment is a now, a moment for itself. There is no evidence of a past. The past is encoded in the now: our nervous system’s configuration holds our memories of the past, the cosmos holds echoes of its history, geology holds traces of the earth’s past. These patterns encoded in the now give the illusion of time / change. And along comes Albert Einstein and the question that apparently troubled him since he was a teenager: What happens if you catch up to a beam of light? Will it appear as a frozen wave? Light is said to travel at a speed of about 300.000 km/s. But what is it travelling relative to? The principle of relativity says that there is no privileged reference frame. Moving and standing still are merely labels, as motion is relative. In his 1905 paper On the Electrodynamics of Moving Bodies Einstein defines his special theory of relativity. If you are on a moving train and through a ball in the train’s moving direction, the total velocity of the object will be the train’s velocity and the ball’s velocity from your throw. Newton’s equations hold up here, but when the velocities involved get closer to the speed of light, they don’t apply anymore. Special relativity states that light bouncing off a moving rocket still only has a total velocity of 300.000 km/s and not more. Light always travels at speed c, no matter if boosted or slowed down. And for the speed of light to be constant, time and space must be relative. Events that happen around the speed of light, are perceived differently relative to the placement and motion of the observer. Events appear to happen simultaneously from a particular frame of reference, and out of order from another. If there is no simultaneity, there is no universal now. In Newtonian physics an event could be defined in space (3 coordinates) and in time (exact date and time). Special relativity defines an event in the combined space-time (3 coordinates and time). Time is the fourth dimension in a world that is very similar to the block universe. The speed of light defines the light cone of an event P: the expanding radius of the all the events that could have had influence on the event P in the past, and the expanding radius of all the events that can be influenced in the future by event P.
Special relativity only applies to bodies moving at constant speed. 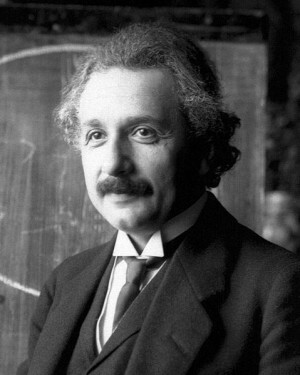 With general relativity Einstein creates an entirely new mathematical description of gravity. Gravity is a warping of space itself. Heavy objects warp space-time in their vicinity and this exerts the force of gravity onto the objects around it. Light is effected by gravity. Einstein could prove that at the eclipse on May 29th 1919. Images of stars behind the sun showed them to be displaced due to the gravity field of the sun itself. And even time changes around gravitational fields – it slows down! In 1971 several atomic clocks were send on experimental journeys on jetliners and afterwards compared with reference clocks that had stayed on ground. The time differences were exactly matched to the effects of the gravitational field of the earth (weaker the higher the plane). Newtonian mechanics, now titled classical mechanics, are accurate for all dynamics in the normal scale. Events in the macroscale demand space-time and general relativity to make sense. Events in the microscale follow the laws of quantum mechanics. Quantum theory introduces probability into the seemingly deterministic ways of Newton’s and Einstein’s equations. In the quantum realm cause and effect seem not rigidly linked. Some quantum events just seem to happen without apparent cause. Also, nothing is precise in the quantum world. The equations are deterministic in nature and events therefore predictable, but the predictability is lost once we intervene by making measurements. Einstein had shown that mass an energy are equivalent. Light carries energy, so light should be able to warp space and time. Potentially light could cause such a warping of space-time that a closed timelike curve could be created, that would allow for time travel. Experiments with arrays of lasers, mirrors, photonic crystals, beam-splitters are on the way. Retrocausality – how the future can affect the present or the present can affect the past – makes us of the idea of quantum entanglement (entangled pairs of particles). And then there is the time travelling of space tourists. The astronaut Sergei Krikalev, who spent more than 800 days in outer space has aged about 1/50 of a second less than us on earth. Time travel is all over science fiction of course. Black holes, wormholes and how changing the past could effect the present. Stephen Hawkin’s chronology protection conjecture says: The laws of physics conspire to prevent time travel by macroscopic objects. It’s possible, it’s not. 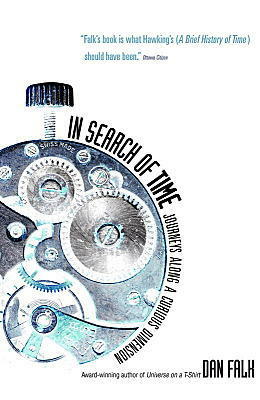 But thinking about time travel forces science to confront some of interesting issues: the nature of the universe’s ultimate laws, questions about cause and effect and about the nature of space and time. When did it all start. The story of discovering the real age of the universe, starting with Ussher’s date (6:00 p.m. on Saturday, October 22nd, 4004 B.C.) to Darwin and Hubble and the cosmic background radiation until we hit the number of 13.7 billion years. How does time go from non-existence to existence at the big bang? Hawking and Hartle eliminate the singularity issue (the whole universe condensed into one single point) with their no-boundary proposal, that uses quantum theory by ‘smearing out’ time’s origin. Instead of starting suddenly, it emerges gradually from space. The quest for the theory of everything could lead to a picture where time is no longer fundamental – Time as an emergent property. There are 6 different arrows of time: The thermodynamic arrow of time follows the second law of thermodynamic that states that the amount of disorder in closed system must increase in time. The radiative arrow of time is explained with the expansion and propagation of waves (ripples always move outwards). The quantum arrow of time is based on the irreversibility of the collapse of several states into a single state by observation. The kaon arrow of time is named after the neutral k-meson particle, that is special because it’s decay process is longer than its possible reversible creation. The cosmological arrow of time points from our hot dense past to our cool sparse future, with the expansion of the universe since the big bang. And finally, the psychological arrow of time suggests the flow of time is given based on our perception of the world: we remember the past but not the future. Danny Hillis, Kevin Kelly and their Long Now Foundation set out to build a clock that would run for 10000 years. The scientific revolution puts a new spin on utopian and dystopian stories: We are not in need of gods anymore to wipe humanity off the earth, we can do the job ourselves. 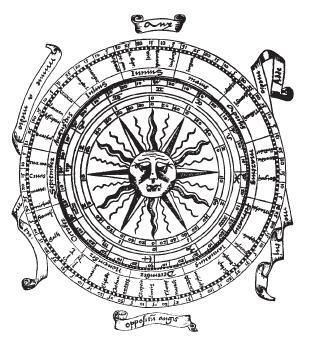 The Copernican Principle suggests that everything will endure as long as it has already lasted. Some tweaking of the values sets the predicted lifespan of humanity between 5100 to 7.8 million years. Some things can be predicted very precisely (future solar eclipses), other’s can’t (weather forecasters may never be able to predict the weather more than a week in advance). In the same way as the ‘self’ is created by our brain, the passage of time can be made up by our brains. In order for us to make sense of the world, a sort of common sense, as product by biological evolution. And finally, after lots of talk about determinism, endles arrays of ‘now’s and block universes, Falk voices his doubts about the fact that time is an illusion. Lee Smolin writes: Maybe quantum theory and general relativity are deeply wrong about the nature of time. Something seems to be missing. Maybe its at the same place where the secret of consciousness lies hidden. Everything about the human experience demands the special attention we pay to the present moment. Posted in meta, Research and tagged 2010, book, Dan Falk, Einstein, Newton, time.